The current Arab ‘revolutions’, pose anew some venerable questions of revolutionary transformation, not least whether they will result in fundamental changes to economic life in the region or, as Antonio Gramsci might have recognised, a restoration of the old political order. In 1917 one rather renowned contemporary revolutionary figure, V. I. Lenin, opined that, ‘The basic question of every revolution is that of state power’. So what makes a revolution; and can the events in Tunisia, Egypt, Libya and possibly elsewhere in the Middle East be seen in revolutionary terms? Generally, when considering modern revolutions it is usual to highlight certain structural conditions that might shape forces for change — so-called ‘objective’ factors of economic crisis and inequality, poverty, or exploitation — alongside a series of conjunctural circumstances that arise in the moment, due to the historical peculiarities of a place or space. 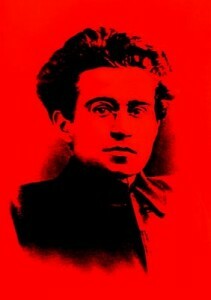 In my own work Unravelling Gramsci: Hegemony and Passive Revolution in the Global Political Economy, these aspects are deployed to understand Gramsci’s notion of ‘passive revolution’. This refers to social conditions that are not literally passive but are often violent transformations. Further, the term captures how processes of revolutionary rupture become displaced, thwarted, and averted leading to a continuation of the old political order and, commonly, the furtherance of capitalist accumulation processes. How might the mix of the structural and conjunctural explain today’s Arab ‘revolutions’? And are these pivotal moments better understood as uprisings or revolts (or passive revolutions) leading to a series of reforms rather than a fundamental revolutionary change in power? First up, on those structural issues, one can highlight the role of the food price crisis in both Tunisia and Egypt. The surge in world food prices, linked to wider speculation on the global commodity futures markets, helped to trigger both uprisings and has been a key factor in past and present ‘food riots’ across the developing world. In 2011, world food prices reached their highest peak in the last thirty years. Given that North Africa imports half its wheat and world wheat prices soared by 50 per cent in 2010, no wonder bread prices have underpinned — but not solely determined — discontent. What of those cloudier conjunctural factors? Many in the West draw attention to the importance of internet activism – Egypt’s was supposedly a ‘Twitter Revolution’, personified by Wael Ghonim. To overemphasise that aspect, though, would be to fall into a technological determinism whilst overlooking the courage of direct social protest and risk of life against state violence, torture, and imprisonment. It would also lose sight of other factors, such as odious political regimes and Western complicity; human rights abuses; and kleptocratic states that have contributed to a charged political environment. We also need to take account of additional specific events and conflagrations in the moment of the conjuncture: Mohamed Bouazizi’s self-immolation and the subsequent street demonstrations in Tunisia; the counter-space of Tahrir as a site of civil resistance in Egypt; and the intransigence of rebel elements in Benghazi, Tobruk, and Misrata in defiance of the Gaddafi regime. On that basis, where does that leave the Arab ‘revolutions’? Are we witnessing an Arab 1848, or 1989, or 1789? Historical analogies are difficult to make stick, precisely due to the different mix of structural and conjunctural factors throughout history. Where, moreover, are these ‘revolutions’ going? Zhou Enlai, when asked in the 1950s what had been the consequences of the 1789 French Revolution, allegedly said that it was still too early to tell. Avoiding hasty conclusions, then, in the middle of current events is perhaps wise. Whether these ‘revolutions’ will amount to fundamental social, political and economic transformations or, instead, the restructuring and consolidation of capitalism remains therefore an open question. History, clearly, has not ended but is in the making, again, and again. Next Post More than a political romance? Interesting article. Another aspect in revolutions like these is the loss of fear: for years, people like Ben Ali and Gadaffi have held on because people are afraid of the security apparatus. When people suddenly stop being afraid (even when the regime actually does torture and kill), when they decide it is necessary to resist even in the face of such dangers, the apparently unstoppable edifice becomes very precarious. I wonder if this is one of the reasons America has started to prefer managed “democracies” to outright dictatorships. Yes, Andy, highlighting the protesters’ loss of fear is a good additional point, which has been remarkable and made events in the Middle East all the more stunning, especially in the face of brutal oppression. At the same time, embedding that form of agency within a wider geopolitical frame of reference is useful. The people in Libya have lost their fear but in a context in which the UK have increased, since 2006, their arms exports by 70% to regimes in the Middle East and Asia (see The Guardian, 14 March, p. 15). The militarism surrounding the no-fly zone debate could well see the geopolitical dimension come to the fore. This is really interesting stuff, I think there`s a difference depending upon the emphasis we place on the objective and the subjective in relation to the question of revolution. To the extent that we understand revolution in objective terms we look at the state, the economy, the international context, all these aspects have particular spatio-temporal rhythms which are very much abstracted from the subjects who actually participate in the “revolution” and so perhaps we are more likely to see restoration, because we are focusing on logics which were not part of the revolution itself (as an event). I think that it perhaps makes more sense (at this moment at least) to talk about the “revolution” in Egypt, Tunisia, Libya, Bahrain etc in terms of the subjective, the key fact here is, as Andy says, that many millions of people are fundamentally committing themselves, in a deeply embodied way, to an idea of “the revolution” and in doing this they actively constructing their selves as active political subjects. This subjective focus problematises the idea of “passive revolution”, because Egypt has been through various processes of passive revolution ever since 1952, it was precisely the most strikingly passive revolutionary aspect of the Maghrebian post-colonial state (most obviously the emergency law) which the protesters were actively confronting and overthrowing in their reclamation of public space as a site of popular political contestation. The real question moving forward is if these active subjectivities can continue to be contained within a passive revolutionary process, or will the region move towards a more hegemonic model of governmentality, perhaps similar to the Turkish model with a strong US aligned military ensuring popular-democratic aspirations are moderated through a type of democratic common sense. A fascinating contribution to the debate, John! In a week, too, that witnesses the 150th anniversary of the Risorgimento – the unification of Italy and its heralding as a ‘modern’ state – often seen as the classic instance of a passive revolution. It’s a debate that is certaining picking up pace, as evidenced in the special issue of Capital & Class on “Approaching Passive Revolutions” that I recently edited (vol.34/no.3, 2010). Turning to Egypt, the transformations of lived space and situated knowledges have been profund. “We are on the right path, moving from one victory to another” exclaims Essam el-Erian from the Muslim Brotherhood in light of news that Egypt has disbanded the notorious State Security Investigations Directorate (SSI). Earlier Ahdaf Soueif had heralded the spread of a Tahrir Square “mindset” in celebrating the revolution. And yet, the discursive milieu in the print media, epitomised by The Economist (Democracy’s hard spring, 10 March), takes the political transformations as a given of the existence of revolution in everyday life. Something clearly troubled by the creation of new state security agencies in Egypt to replace the old ones, expanded US aid packages, and the managed dynamic of the referendum on constitutional changes that is seen as too rushed (The New York Times, ‘Egypt Ends Domestic Syping Agency, but Creates New One’, 16 March). And then there is the state of emergency in Bahrain and the West’s racheting up of war in the region through the UN no-fly zone in Libya. Austerity cuts in the UK and the hollowing out of public services from the work place, to social welfare, to the local library, to the university, has not stopped Britain from spending more on militarism. It will be crucial to see the linkages unfold between the local struggles against austerity cuts in the UK through strike action, and the contestation of Western geopolitics, alongside the global conditions of popular revolt in Middle East against the backdrop of Western intervention. The rhythm of the geopolitical will continue to beat and the question of transformations in active subjectivities will continue to be asked anew!